The UK's housing market is changing. People are renting for longer and buying their first home later. Some buy-to-let investors are pulling out, blaming a greater burden of tax, while some potential home movers are staying put amid an uncertain economic and political climate. It means some assumptions about housing costs may no longer be true. Here are five things you may not know about. This is the result, in part, of a variety of government schemes aimed at helping this group buy a property, an improving outlook for jobs, and competition among lenders. Richard Donnell, research director at Zoopla, who compiled the figures, said first-time buyer numbers were rising most in regional housing markets where affordability was better and the cost of jumping from renting to buying was more accessible. 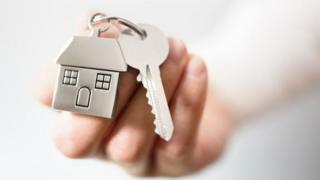 Andrew Montlake, of mortgage broker Coreco, said: "First-time buyers are the lifeblood of the industry. Mortgage lenders are [making] more products available for borrowers with smaller deposits and a fair amount of innovation taking place, such as family deposit schemes." It is also true that the market for home movers is relatively static. Many are choosing to stay where they are, unless forced to sell or buy owing to debt, death or divorce. Some are deciding to extend, rather than move to a bigger property. Young adults are staying in education for longer than they did 20 years ago. They are older when they get married and have children. So many are staying at home with their parents, figures from the Office for National Statistics show. In 1997, the most likely living arrangement for 18 to 34-year-olds was in a home as a couple with one or more children. Now it is living with their mum and dad. Living with parents is far ahead of living as a couple, either with or without children. The "other" category includes multi-family households. That may not be hugely surprising for 20-somethings, but the breakdown of those living with mum and dad is notable. Both men and women are living with their parents for longer than they did 20 years earlier, but it is men who are more likely to stay with their parents than women. In 2017, some 37% of men aged between 18 and 34 lived with their parents, compared with 26% of women in the same age group. The ONS says the reasons may include women traditionally moving in with a partner at younger ages than men, women more likely to go to university and, early in their careers, women possibly earning more than men. The cost of renting is one reason put forward for young adults continuing to live in the home they grew up in. However, in England this decade, the proportion of income spent on rent to private landlords has fallen. The burden of a mortgage has also fallen slightly, but the proportion of income spent on rent by those renting from councils and housing associations has increased over the same period. This may be as a result of austerity measures hitting their income. The Residential Landlords Association says that improved affordability for those renting privately is a sign that the lettings market is working well, but it argues that tax changes are putting off some landlords from investing, and putting continued affordability levels at risk. Some people say they have their heart set on the place they want to live. The surprise is just how many people fall into this category. A survey of 6,000 people by Zoopla showed that 31% of those asked knew the exact house or street they wanted to live in next. This increases to 48% in London. Property websites, of which Zoopla is one, have made browsing for property more commonplace. A relatively small proportion (27%) of those asked in the survey said they were not in the market. That, Zoopla concludes, means there has been a rise in "wait and see" buyers who might move if their dream home comes along, but who do not need to move for any particular reason. There has been a great deal of focus in recent years on increasing the construction of homes, so supply can begin to match demand. The number of homes being built is rising but, in fact, not all of these homes are built from the ground up. Some 20% of new homes are conversions or change of use. For example, some new homes are converted offices or shops. There are some fairly complex planning rules for this kind of work. Large housebuilders still account for 80% of new developments, and have been boosted by the government's Help to Buy schemes. Particular hotspots include inner London, the Midlands, Edinburgh, and the belt between Oxford and Cambridge.